Q: What blogger inspires you? It can be any kind, it doesn’t have to be a book blog. This one isn't a book blog, but I love StarSunflower Studios because they compile a weekly list of free web graphics, fonts, buttons, blogger templates, etc., from all over the web. She always finds the best stuff and I love finding cool graphics for my blog & other projects :) Every time I go through her weekly list I just want to create something myself! We've got a new Reviewer joining us here at Book Liaison, please help us welcome Raevan!!! Thank you for sharing StarSunflower with us :) I've never heard of it but I'm excited to check it out. Wonderful idea! 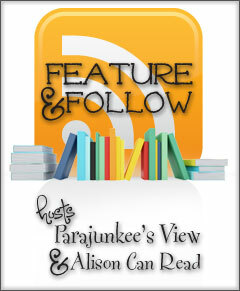 I definitely will be checking out StarSunFlower always looking for new blogging stuff. Welcome Raevan! I also love the designs they find! New follower. Haven't heard of them. Interesting! Oh cool I design a lot of banners and stuff so I think I'd really like this blog! And yours is adorable too! I’m glad I dropped by from FF. I am your newest follower.